You can't manage what you can't measure. Analyze your customer behavior and product performance with Google Analytics Ecommerce Tracking. Enabling Google Analytics Ecommerce tracking in SamCart provides you with the necessary data to make informed business decisions and helps you understand what customer behavior leads to purchases. You can track simple metrics such as clicks and revenue, or deeper behavioral metrics such as time on site, checkout initiation, traffic source, conversions by traffic source, and bounce rate (the possibilities are seemingly endless). 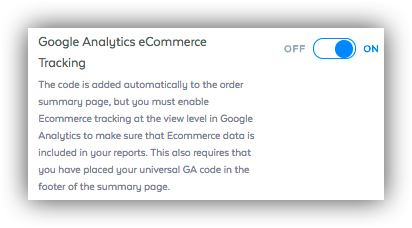 Your Google Analytics account won't have Ecommerce tracking turned turned on by default. To enable it, head to your Google Analytics home page and click Admin in the menu bar. Switch the Enable Ecommerce and Enable Enhanced Ecommerce Reporting to ON and you're on your way! NOTE: Don't worry about "Related Products." That feature is deprecated as of February 2018. Google Analytics relies on a simple tracking script to monitor your products. This step will place said script on all of your SamCart products. This will inject the tracking script in the footer of all your products. After it's pasted click Save Changes. We're almost there! NOTE: If you only want to place the tracking script on certain products as opposed to all of them, open the edit page of the product(s) you're looking to track, click the "Advanced Settings" tab, and paste the script in the "Embed HTML/Scripts in Footer" field. This last step is simple but essential. 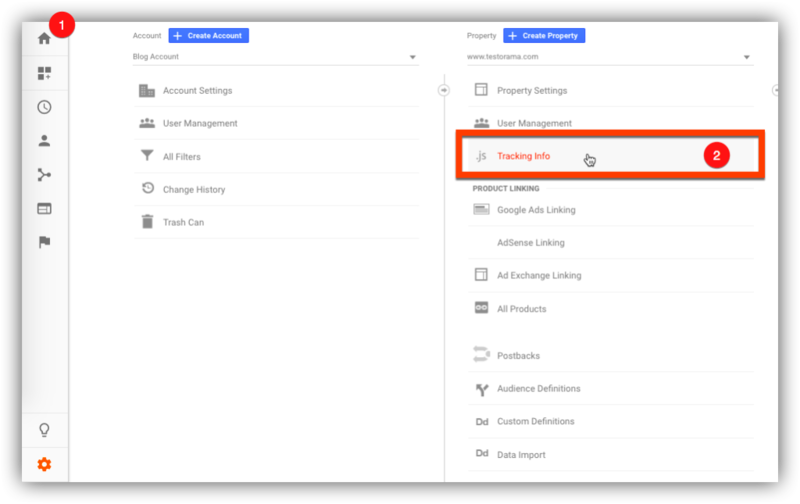 After you've injected the script into the footer of all your checkout pages, continue scrolling down the General Marketplace Settings page until you see the Google Analytics eCommerce Tracking toggle. Switch that to ON and you're ready to start working smarter, not harder! If you're using SamCart's Thank You Page Page, your tracking script will automatically be embedded there if you've followed the steps above. If you're using your own Thank You Page, SamCart can automatically fire your pixels before the customer is redirected. Just head to your Marketplace Settings and switch the Fire Pixels Before Redirect (Optional) slider to "ON." This can cause a slight delay (usually less than a second). If you'd like to stop SamCart from firing your pixels before the redirect, switch the Fire Pixels Before Redirect (Optional) slider to "OFF." Q: My conversions aren't tracking. Help! A: Google Analytics doesn't log conversions immediately. It can take up to 48 hours for conversions to register, though they usually display much faster. If you're seeing "Active Users" on your page but no conversions, you likely just need to wait for them to register. Also, it's worth double checking that you're successfully replaced the placeholder Tracking ID with your unique Tracking ID. Q: I'm new to Google Analytics and am feeling overwhelmed. Where can I learn more? Q: Google's official documentation recommends I put the tracking script in the header, but SamCart only lets me place scripts in the footer. Will my tracking scripts still work? A: Placing your tracking script in the footer of your checkout pages works just fine! No need to worry about that whatsoever.